Η Nissan ανακοίνωσε μια νέα έκδοση (LE SV) εξοπλισμού για το Navara. Βασισμένη στην έκδοση εξοπλισμού LE, η νέα έκδοση διαθέτει Alcantara/δερμάτινες επενδύσεις στο εσωτερικό, νέες ζάντες 18″, χρωμιομένα διακοσμητικά περιμετρικά των προβολέων ομίχλης, μπροστά μπάρα από χάλυβα, σύστημα πλοήγησης, κάμερα οπισθοπορείας, θερμαινόμενα καθίσματα, φιμέ παράθυρα και ράγες οροφής. Η έκδοση είναι διαθέσιμη μόνο στην διπλοκάμπινη εκδοχή και αναλόγως της αγοράς που θα πωλείται, θα εξοπλίζεται είτε με τον 2,5-λιτρο τετρακύλινδρο DOHC πετρελαιοκινητήρα απόδοσης 190 ίππων με 450 Nm ροπής, είτε με τον 3,0-λιτρο V6 πετρελαιοκινητήρα απόδοσης 213 ίππων με 550 Nm ροπής. Ο τετρακύλινδρος κινητήρας συνδυάζεται είτε με ένα 6-τάχυτο μηχανικό είτε με ένα 5-τάχυτο αυτόματο κιβώτιο, ενώ ο V6 διατίθεται αποκλειστικά με το 7-τάχυτο αυτόματο κιβώτιο της Nissan. 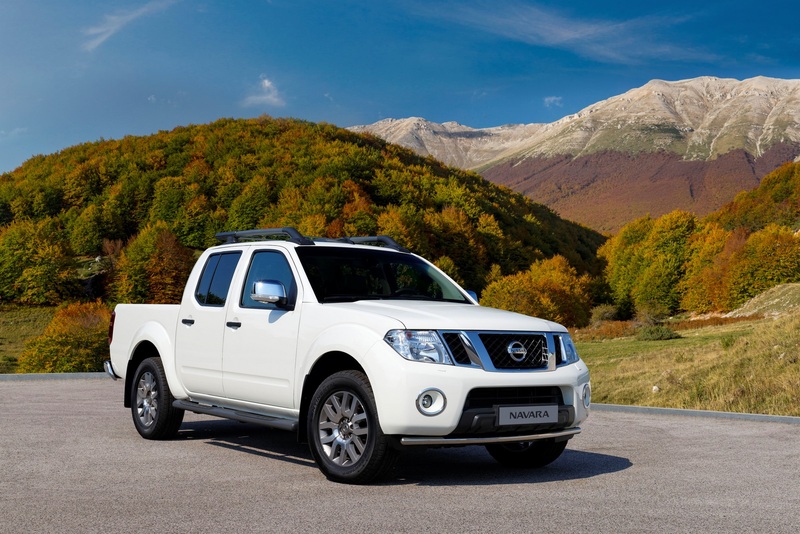 ROLLE, Switzerland (23rd September, 2013) – Greater luxury and extra sporting style are the twin themes behind a new top-of-the-range special version of the acclaimed Nissan Navara pick-up. Based on the generously equipped LE model, the special version adds Alcantara®/leather trim to the interior. 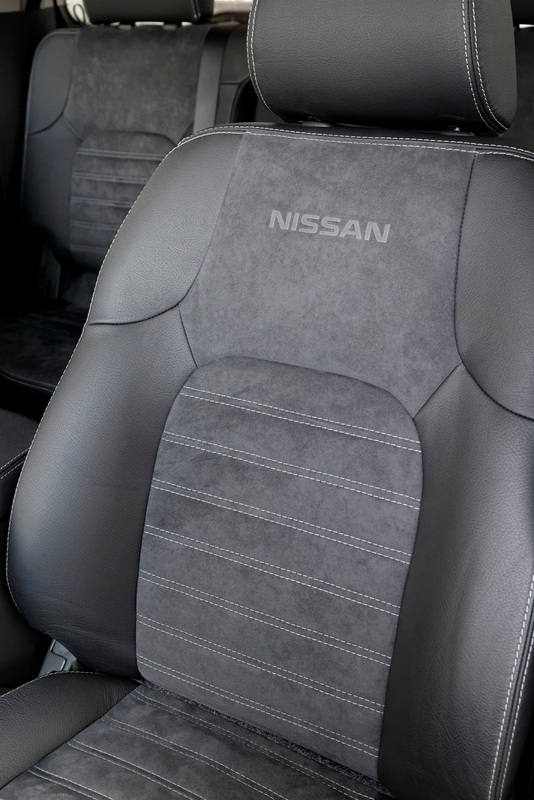 The centre part of the seats are covered in smooth Alcantara®, complete with an embossed Nissan logo, with high quality double-stitched leather trim for the side bolsters, headrests, armrest, gearshift and handbrake surrounds and door inserts. Other items of equipment unique to the special version include smart six double-spoke 18-inch alloy wheels, chrome rings around the front fog lamps and a tough steel bar at the front. These are added to a long list of standard equipment that includes satellite navigation, rear facing camera, heated seats, privacy glass and roof rails. The result is a premium pick-up that marries comfort and style with the respected ability of the hard-working Navara range. “This special version underlines and enhances the appeal of one of the most capable pick-ups on the market. 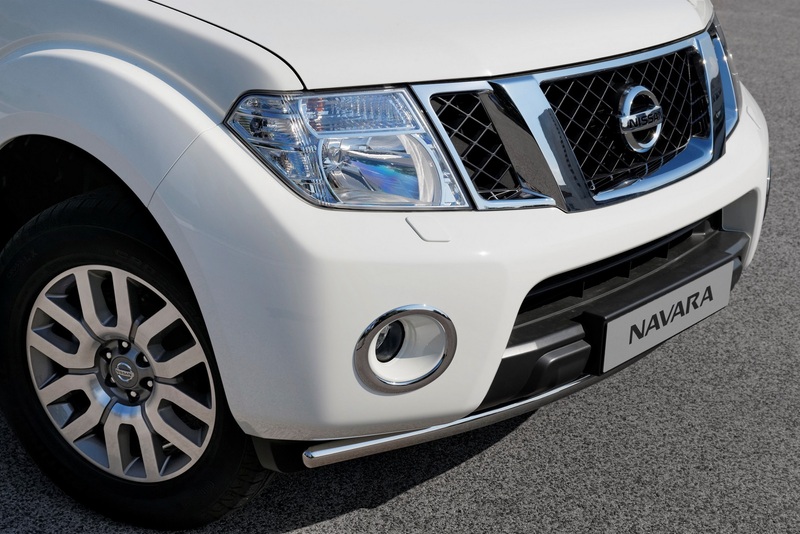 Luxurious, sporting and supremely versatile, it is the ultimate Navara,” said Christian Meola, LCV European Product Manager. 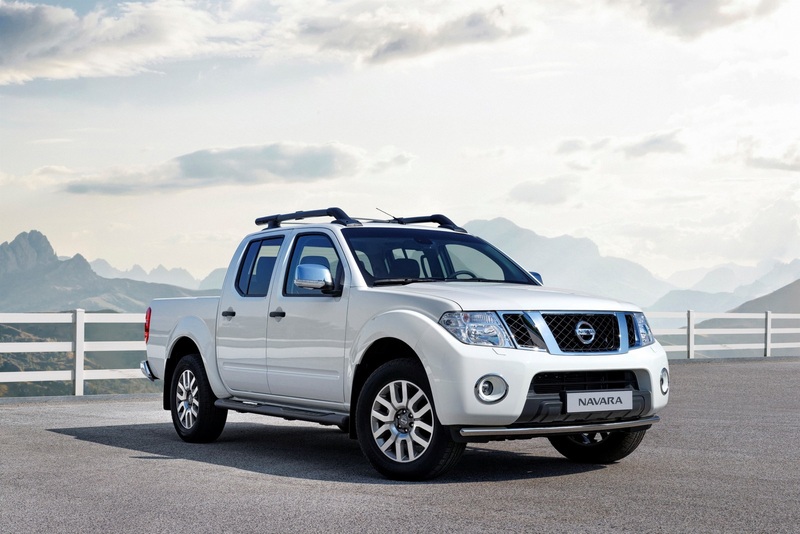 Navara LE SV is available in five-seat/four-door Double Cab guise with a choice of engines. Depending on the market, power is supplied either by Nissan’s trusted 2.5-litre dCi DOHC four-cylinder diesel developing 190PS (140kW) and a potent 450Nm of torque or the smooth 3.0-litre V6 diesel with 231PS (170kW) and a class-leading 550Nm. CO2 emissions range from 222g/km to 250g/km. While the four-cylinder unit is available with the choice of six-speed manual and five-speed automatic transmissions, the V6 comes as standard with Nissan’s advanced seven-speed automatic gearbox. With its rugged ladder-frame chassis Navara has an independent front suspension system featuring double wishbones and coil springs. At the rear, there’s a rigid axle and over slung leaf springs that provide excellent payload levels at the same time as giving the comfort, ride and handling expected from an SUV. A part time four-wheel-drive system powers the rear wheels under normal conditions or splits the torque 50/50 between front and rear axles when 4WD mode is engaged. High and low ratio modes mean outstanding levels of traction whether on or off road. A rear differential lock – which operates only in low ratio four-wheel-drive – provides further help should a rear wheel lose traction on slippery surfaces. Control is via a rotary switch conveniently located on the centre console. Within a 3,200mm wheelbase and an overall length of 5,296mm, the Double Cab load bed is a useful 2.36m2 with a practical length of 1,861mm… or nearly 2m if the tailgate is left down. 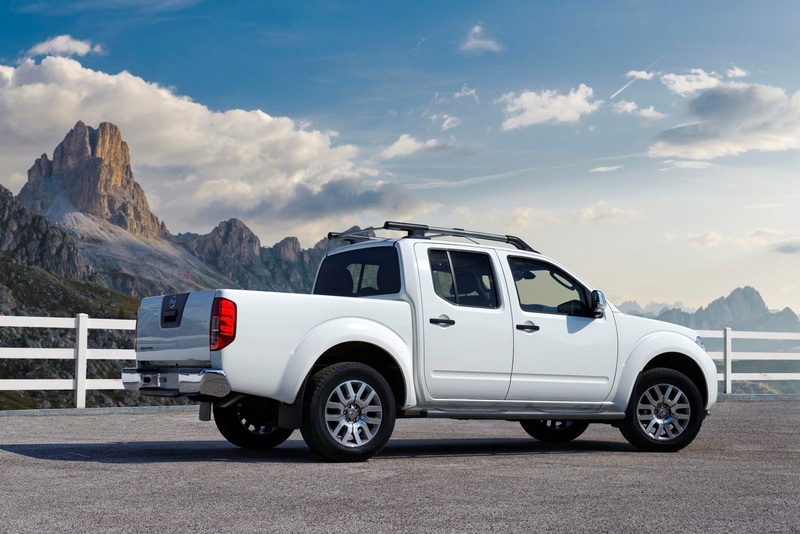 Navara has a maximum payload of 900kg (1,000kg in Germany) with a 3,000kg maximum towing capacity. The factory-fitted C-Channel load-tethering system incorporates five rails (one on either side of the load floor, plus one on each of the three fixed sides of the pick-up bed) into which self-locking cleats can be placed, providing fixed tethering points. 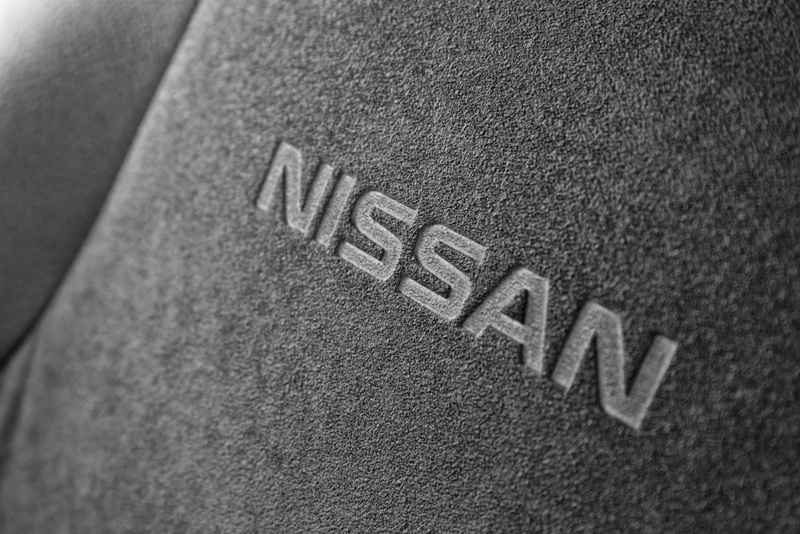 A full range of bespoke accessories designed to work with C-Channel is available from Nissan dealers. The standard roof rack system is shaped to reduce wind resistance and can carry up to 56kg. The increased interior comfort provided by the sophisticated leather and Alcantara trim complements the LE’s array of advanced technology. 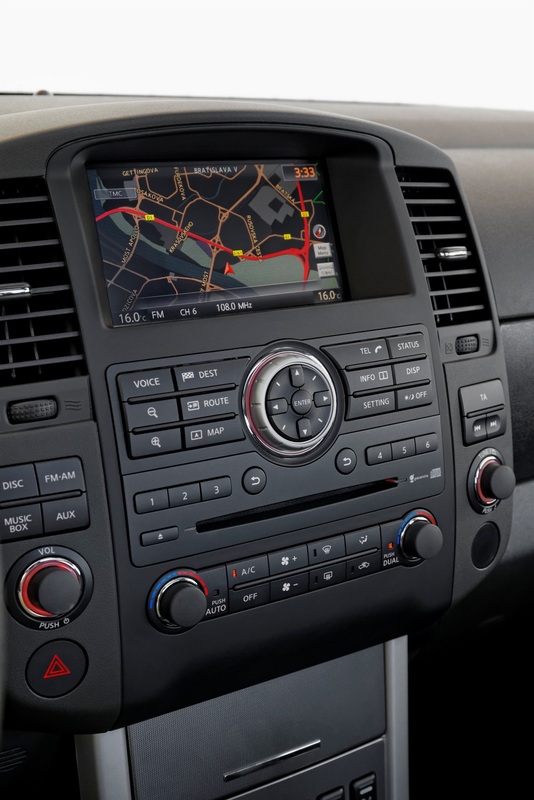 For example, the premium satellite navigation/communication system incorporates a 7-inch touch screen along with Bluetooth® connectivity for mobile phones and music streaming. The screen has 2D/3D displays and the system incorporates a 40GB hard drive. Audio controls are mounted on the steering wheel alongside controls for the combined cruise control/speed limiter system. “The added style and luxury found in the new LE special version brings a new dimension to Navara’s capabilities,” added Christian Meola.